Defending the rights of injured victims! Mr. Mermell has received the AV (Highest Rating Possible) Preeminent Peer Review Rating for Ethical Standards and Legal Ability by Martindale-Hubbell Rating Service. Mr. Mermell has received the 2014 Recognition as a Top Rated National Lawyer in Labor and Employment Law by American Lawyer Magazine, Corporate Counsel Magazine and National Law Journal. Mr. Mermell has received the 2014 Avvo Client Choice Award in recognition of his clients’ satisfaction and testimonials about his work. Mr. Mermell has received the 2014 and 2015 Avvo 10.0 Rating (Highest Rating Possible). Mr. Mermell was recognized in 2014 by Workers’ Injury Law Group (WILG) as one of the Nation’s Top 100 Injured Workers’ Attorneys. Mr. Mermell has received the 2015 Recognition by the National Association of Distinguished Counsel (NADC) as one of the Nation’s Top One Percent of all lawyers nationwide. 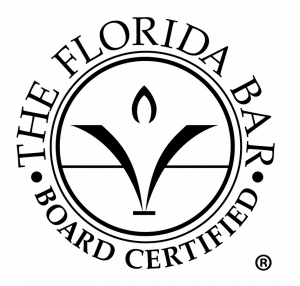 Mr. Mermell has been a member of the Workers Compensation Section of the Florida Bar for the past 25 years. Mr. Mermell has been a member of the Florida Workers Advocates for the past 15 years and the Workers’ Injury Law Group for the past 7 years. Mr. Mermell has been on the Board of Trustees of the Friends of 440 organization for the past 23 years, and he served as the treasurer of that organization for three years. Mr. Mermell has attended the Annual Florida Workers’ Compensation Convention in Orlando for 23 out of the past 25 years. David Pacheco, Esq., has been handling the claims of injured workers under the Defense Base Act and/or the Longshore & Harbor Workers’ Compensation Act for the past 10 years. During that time, Mr. Pacheco has also been representing injured workers under the Florida Workers’ Compensation laws. During the past 10 years, Mr. Pacheco has represented injured workers at more then 800 depositions and more than 800 mediations. 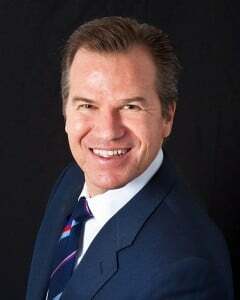 He has become very experienced and extremely successful at the art of mediation, often obtaining results that far surpass his clients’ expectations. He has the gift of finding a diamond in the rough at mediation. Mr. Pacheco began with the Law Firm of Gillis & Mermell, P.A. directly out of law school. After seven years of devotion and dedication to his work in the representation of injured workers, he was made partner and the firm changed its name to Gillis, Mermell & Pacheco, P.A. in 2004. Mr. Pacheco graduated from Florida International University with a double degree, a Bachelor of Arts in Political Science and Bachelor of Arts in Psychology, in 1994. Mr. Pacheco graduated from the Nova Southeastern University law school with a Juris Doctorate degree in 1997. 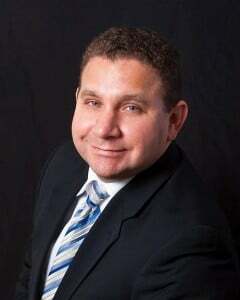 While attending law school at Nova Southeastern University, Mr. Pacheco took a special interest in mediation and assisted as a mediator in over 200 Broward county restitution cases from 1995-1997. Mr. Pacheco has been invited to be a speaker on the topic of Longshore & Harbor Workers’ Compensation Law at several educational conferences. Let us know about your case, and we can set up a free consultation to discuss it. Call 305.595.3350 or contact us now to get started. Contact a competent Personal Injury Lawyer today at Gillis, Mermell & Pacheco, P.A. No matter where you live and no matter where you were injured, we have the experience, education, training and reputation you need to bring your personal injury case to a successful resolution. The information you obtain at this site is not, nor is it intended to be, legal advice. You should consult an attorney for individual advice regarding your own situation.Copyright © 2010 by The Law Offices of Gillis, Mermell & Pacheco, P.A. Handling All Work Related Injuries. All rights Reserved. You may reproduce materials available at this site for your own personal use and for non-commercial distribution. All copies must include this copyright statement.